​We are going to work through 1 and 2 Samuel during June and July, following the Lectionary. Along the way we will encounter fascinating characters: a woman struggling with fertility, a dynamic spirit-filled leader, a petulant spiteful king, an over-sexed ambitious fighter. We will glimpse their inner struggles and outer battles. Along the way are promises and betrayals, affairs and assassinations, charismatic worship and international politics. 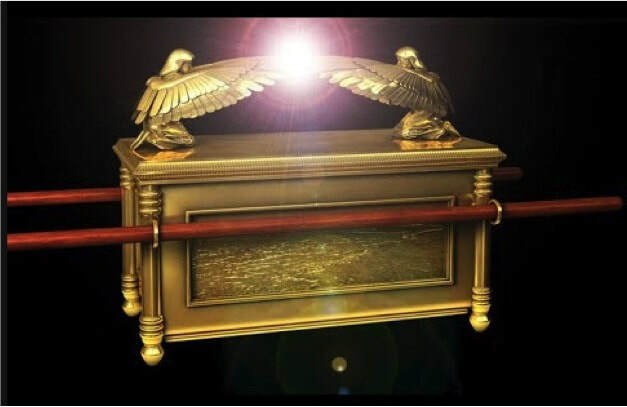 The books of Samuel form a bridge between two eras: Before Samuel the 12 tribes of Israel were autonomous entities, with no central place of worship or government. This could have continued but for the serious threat posed by an invading army, with far advanced weaponry – the Philistines pushing in from the coast. To survive, the Israeli tribes had to forge a joint army, and that required a common leader – a King. Never had a King before. By the end of 2 Samuel they have themselves a King, and the Philistines are defeated. Israel has a capital city, and the beginnings of palace and temple. With military victory comes financial gain, and with money comes technology. Israel emerges from the Bronze age and enters the Iron age. The books of 1 and 2 Samuel are essential reading for Christians first and foremost because Jesus is heir to David. Jesus himself made connections between himself and King David. Jesus was himself, through his adopted father Joseph, a descendent of David. And most importantly, Jesus spoke about his kingdom, God’s kingdom, in the light of David’s kingdom, as heir to David’s line, as fulfillment of prophecies given to David, as carrying forward the covenant promise that God made with David. As David was anointed as King, so Jesus is the anointed one, which is the literal meaning of Messiah, Anointed. ​1 Samuel 3 is one of those classic Bible stories that we need to teach our children and remind our adults. Here is an easy and lively retelling for 4 voices. Oh, give me Samuel's ear. Each whisper of Thy word! Oh, give me Samuel's heart. Or watches at Thy gates! Oh, give me Samuel's mind. To Thee in life and death! in the form of a 'mihi', including a little Maori ... a narrative overview of Samuel's life in the 1st person. Greetings. I am from the town of Ramah, of the tribe of Ephraim. Elkanah is my father, Hannah is my mother. My name is Samuel. This is my story. The Bible is such a fascinating book because it bridges the spiritual and the political. It is history and it tells our own story back to us. I can’t imagine a time when 1 Samuel 8 has been less relevant. You want a king – really??!! You want to hand power to one person – really??!! The prophet Samuel says to his people, as Jesus said to his people, God is Lord. God is the only true source of authority. Not rules, not armies, not Twitter. The Son of Man is Lord even of the Sabbath. My heart sings in the Lord, who lifts me high! My mouth boasts, my enemies fall! Joy is mine! Salvation is here! No solid rock but our God! while those with plenty fade away. and he opens the way to life. Some he makes poor, some he makes rich. Some he throws down, some he lifts up. invites them to sit in the place of honour. we do not succeed by our own strength. shattered, scattered, stumbling in the dark. and judges to the ends of the earth. The Lord gives power to his king; he will raise up his Messiah. It never ceases to amaze me how the words and symbols of the Bible speak with a modern relevance, although they were first written thousands of years ago. However, there are occasionally words and symbols that don’t translate so easily. One of these is the horn. When Hannah sings of her own triumph, and the future victory of the Messiah, she uses the phrase “my horn is lifted up” (1 Sam 2:1, also verse 10). What does this mean? 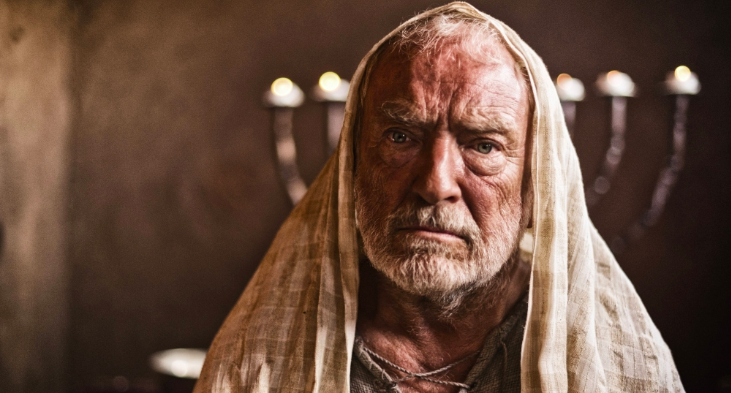 My reading of Saul has made me feel rather sorry for him, to be honest. The is the ultimate fallen hero, golden boy gone wrong. Great promise crumbling into mental illness and failure. Saul’s is a sad story, tragic even. He began with such promise. He was tall and strong and handsome. He was eager to please God, and eager to please his people. Possibly too eager to please – that’s part of why his leadership faltered. Desperate for approval, he was. Have you know people whose lives have become dominated by mental illness, or who have been so needy for the approval of others that they have failed to live up to their potential? The relationship between Jonathan and David is a driving force through the rest of the book of 1 Samuel. How would you describe their relationship? I don’t know about you but when I read this, I can’t help but jump to the conclusion that Jonathan was in love with David. Where is God in all this? This is what we have to keep grappling with as we read the Old Testament. Where is the God we know in these ancient stories? We don’t always recognise the Father of our Lord Jesus Christ in the Yahweh of the Old Testament. We know that he is one and the same, but we don’t always recognise him, especially when it comes to killing a hundred Philistines for a bride price of foreskins, or in God’s rejection of King Saul. It does not seem fair to us. Old Testament battles do not fit with modern international codes of conduct between nations, and Old Testament sexual ethics do not automatically answer modern questions. Where is God in all this? We all carry grief. We all have jarred edges where loss has torn at us. A song of lament is a good way to grieve. David cries out his pain and sings his way into facing the reality of loss. This is the story of King David dancing wildly as the Ark of the Covenant was carried into Jerusalem. Before and after the dance come two deaths, of different kinds. So today is the story of two deaths and a dance. Sermon includes a reading from Eugene Peterson's wonderful book about King David, Leap Over a Wall. that the genealogy of Jesus in Luke’s gospel is totally different from the genealogy in Matthew’s gospel?? Both Luke and Matthew agree that Jesus’ adopted father, Joseph, was “from the house and line of David” (Luke 2:4). So why does Luke give us a completely different genealogy? I claim that Luke tells us Mary's family line, which also links back to King David but through a more humble route. So Jesus is descended from King David through both his mother and his father, in different kinds of ways. In any book you read about King David you will find a chapter on the points of connection between David and Jesus, and how important it is in understanding who Jesus was to understand who David was. ... and this finds expression in the mixed-metaphor of Shepherd-King. Both David and Jesus were Shepherd Kings.